Try these tips to learn how to clean old furniture. When it comes to cleaning, most people simply stick to the basics and prefer to keep it simple. A typical house-cleaning routine might include cleaning the kitchen by wiping down sinks and doing the dishes as well as mopping and sweeping floors. Then, of course, there's the dreaded bathroom cleaning which most people tend to hate as scrubbing the bathtub and toilet bowl is not that exciting. When it comes to cleaning rooms such as bedrooms and the living room, typical cleaning duties may include vacuuming and dusting. However, these rooms may possess older furniture, possibly antiques, that require a more thorough or specialized cleaning process and special wax and furniture polish versus newer or modern furniture pieces. It is important to know how to clean old furniture to avoid damaging any pieces that are valuable as well as maintaining a beautiful appearance. Furniture that is old does not necessarily mean that it is of higher quality, more durable or worth more money than new, recently dated furniture. Although, that may be the case depending on the type and piece of furniture as with family heirloom antiques, most regular pieces of furniture lose their value over the years. Furniture such as dressers, bookcases, sofas, coffee tables, dining tables and chests may become chipped, scraped, worn out and faded in color. They also may become weaker over time and more prone to breakage if moved or used to support heavier objects such as books, vases or lamps. The primary cleaning concern with old furniture however has to do with the increased accumulation of dust, dirt and grime collected over time. This may accumulate from natural dust in the air, dirt brought in from outside as well as from the natural oils and dirt people leave behind after touching furniture regularly with their fingers, hands or even feet. The initial step in cleaning old furniture is to stick with basic cleaning techniques by using mild soap and water. 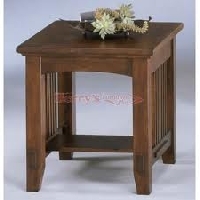 Try a mild dish liquid soap or detergent that will not hard the wood or finish of your furniture. Avoid using laundry detergent as it may be too harsh on materials due to its high alkalinity. Soak a washcloth in your soapy water and wring out any excess water to avoid flooding furniture with water which can cause a mess and dirt to spread further. Clean furniture using moving, circular motions with the wet cloth followed by the use of a dry cloth to wipe up excess moisture. Avoid areas on furniture that have been cracked or damaged as water can cause the wood to expand and weaken its structure. If a mild soap cleanser isn't enough to get rid of slimy filth or stains on your furniture, consider purchasing a specially formulated cleaning solution from a hardware or furniture store. Speak with a customer representative to be sure you are buying a suitable product that will not harm or damage your furniture pieces. As mentioned above, it is best to stick with a basic cleaning wash-cloth made of cotton or polyester materials. Materials such as steel wool that are typically used to clean dirty pots and pans can be abrasive on old furniture and leave scratches as well as a dull color. In learning how to clean old furniture, your best bet is to keep it simple at first with gentle cleansers. Furthermore, always test out cleaning materials initially on a small spot or piece of furniture that isn't readily visible to the eye or that is less valuable to you. Last but not least, when in doubt - ask a professional!